At the age of 10, Ahmed discovered his love of gardening and working outdoors. To many children, mowing lawns, trimming shrubs and stacking wood would be considered mundane chores. Not to Ahmed. With each completed task, he was building confidence and moving closer to his purpose in life, teaching others the importance of combining creativity with hard work. 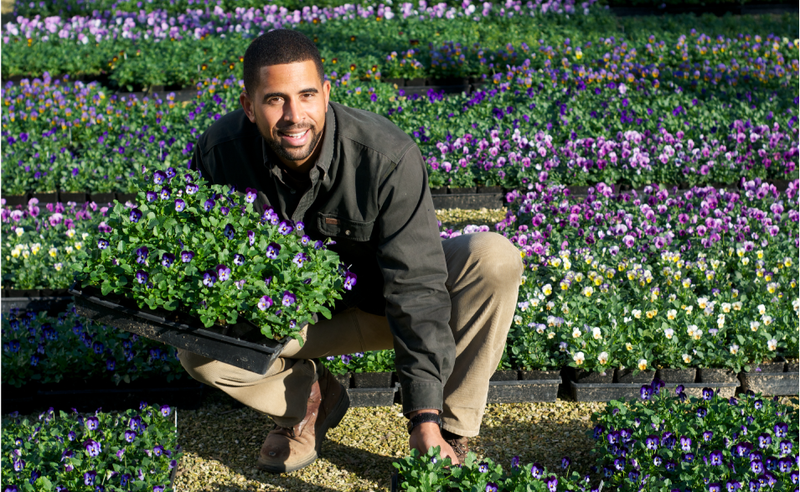 Ahmed’s love of landscaping paved the way to a successful career as one of today’s most sought after Celebrity Landscape professionals and Green Industry Experts. In 2007 he began hosting gardening shows for DIY Network. 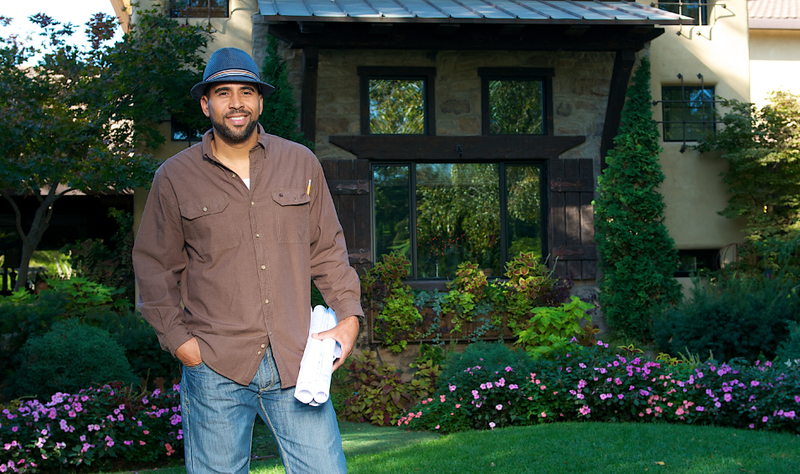 Having been featured on several episodes of HGTV’s “Landscape Smart”, Ahmed was sought after to become a network host for sister network DIY (Do-It-Yourself) Network. In 2008 he and his team surprised homeowners and viewers with customized residential landscapes and upgraded homes on DIY Network’s “Yard Crashers”. 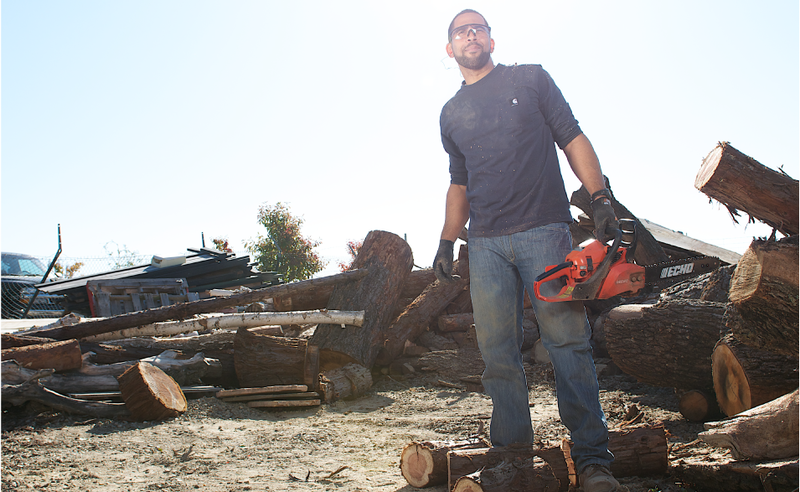 Following a series of hosting stints for numerous DIY Network shows including, “The Dirt On…,” “Green Me Up” and “Blog Cabin,” the network created the Yard Crashers series around Ahmed’s authentic high energy, motivational spirit and his love of people and beautiful outdoor spaces. Each week, millions of viewers are charmed by his engaging personality and unique style of education blended with entertainment. The “Crashers” brand and format was born with spin off shows House Crashers, Bath Crashers, Room Crashers and Kitchen Crashers. Ahmed also hosted a couple seasons of a landscape competition show, “Turf War” on DIY Network. Landscape gardening has never before been showcased in a way that was so exciting to watch on television. Ahmed has co-hosted and consulted for The Nate Berkus Show where he led the residential landscape design for Monica “Warrior Mom” Jorge’s house. He also co-hosted HGTV’s live coverage of the 2011 Tournament of Roses Parade. He regularly serves as guest contributor for both CBS Early Show and NBC’s Today Show. He is a guest columnist for several industry publications and HGTV magazine. In 2013 Ahmed began shooting web and promotional videos for various Green Industry companies. Ahmed Hassan is a self taught landscape designer that began working as a professional maintenance gardener at the age of 15. The 25-year expert is a California licensed Landscape Contractor (C-27), and PLANET Certified Landscape Maintenance Technician. He and his wife Tiffanie own and operate Ahmad Hassan Landscape Services (AHLS) a landscape consulting, design and installation firm. Ahmed has collaborated and worked on several landscape and construction projects throughout the country. Though speaking and doing landscape construction projects on television is what he enjoys most. The California native has spent most of his life in the Sacramento and greater Bay Area. He attributes his success in life to his many years of sobriety and the support and spiritual philosophy of his blended family. His entrepreneurial parents taught him the value of creating a business with the work you enjoy most. Ahmed’s rural roots, mixed with inner city upbringing, has given him a unique ability to relate to people from all walks of life. The connective thread through each stage of his life remains Agriculture, Construction, Improvements and Maintenance. “The status quo is boring and complacent. I envision and enjoy making things better and I prefer to do this outdoors”, says Ahmed. Ahmed began spelling his name with an “e” for phonetic reasons when he became a TV host. His legal name is Ahmad Hasan Hassan, pronounced (Ahh-med). Ahmed, his wife and 3 children reside in Northern California’s foothills.